why struggle with trying to find a parking spot outside the display area when you can register and pay just $25 to display your Porsche with the others but not have it judged. 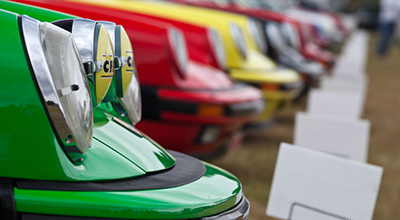 The Treffen – why struggle with trying to find a parking spot outside the display area when you can register and pay just $25 to display your Porsche with the others but not have it judged. 1. No dogs or animals are allowed on site – being a directive of SOPA. Vehicle entry is restricted to those vehicles only stated on the official entrants list and authorised trade vehicles. Vehicles must enter only between the hours 8am and 9am. No late entries permitted. Due to the later start and site restrictions impose by the Sydney Olympic Park Authority entrants are required to remain on site for the whole period of the event (approx. 2 – 2.30pm). Early exit will only be permitted in emergency situation by co-ordination with the event Manager (to be identified on the day).